Financial Crimes investigators have made an arrest in an investigation into alleged frauds involving moving companies and believe there may be other victims. Last month, investigators with the Toronto Strategic Partnership started an investigation -- Project Haul -- into allegations of fraudulent and extortionate conduct by a group of Toronto-based companies offering moving services to customers across Canada. It is alleged that a number of people presented themselves as employees of companies operating under the names “Green Moving” and “Ryder Moving” from the Toronto area. Nichol said aliases and multiple company names were used in order to mask the identities of participants in the scheme and make recovery difficult for the victims. On May 17, Toronto Police, RCMP and the Ministry of Government & Consumer Services investigators executed a Criminal Code search warrant at a business address associated to Green Moving in Scarborough. “Investigators located and seized property belonging to two families that are alleged to have been victimized in the fashion described,” said Nichol. He said both families had moved from Alberta to Eastern Canada. On May 24, 30-year-old Burak Ozgan, of Toronto, was arrested and charged with two counts of fraud over $5000, two counts of possession of property obtained by crime over $5000 and extortion. He will make a court appearance at 1911 Eglinton Ave. E. on July 4 at 10 a.m. While Ozgan is alleged to have played a significant role in the offences, investigators believe he didn’t act alone. Police also believe there may be other victims who are living mainly outside Ontario. 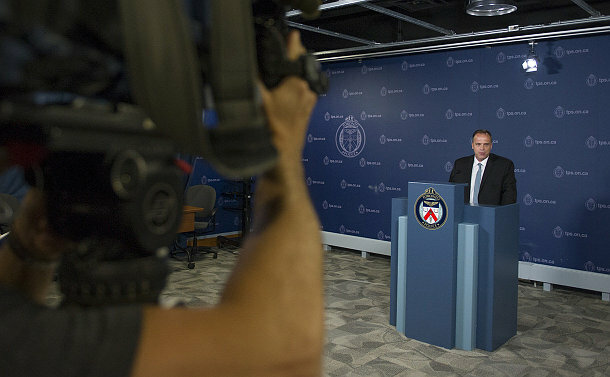 People with recent dealings involving companies operating under the names Green Moving, Ryder Moving, Landmark Van Lines or Capital Moving Services are encouraged to contact Toronto Police Service Financial Crimes at 416-808-7300, Crime Stoppers anonymously at 416−222−TIPS (8477), online at 222tips.com, text TOR and your message to CRIMES (274637), or Leave A Tip on Facebook.